Clothes affect all of us on this planet. We are all, to some extent, consumers regardless of the climate we live in and whether we follow the latest fashion, wear hand-me-downs, shop at large chains or buy tailor-made. At the same time, fashion and textile represents one of the most polluting industries. Swedish businesses and research centres are among the main drivers for a more sustainable system. 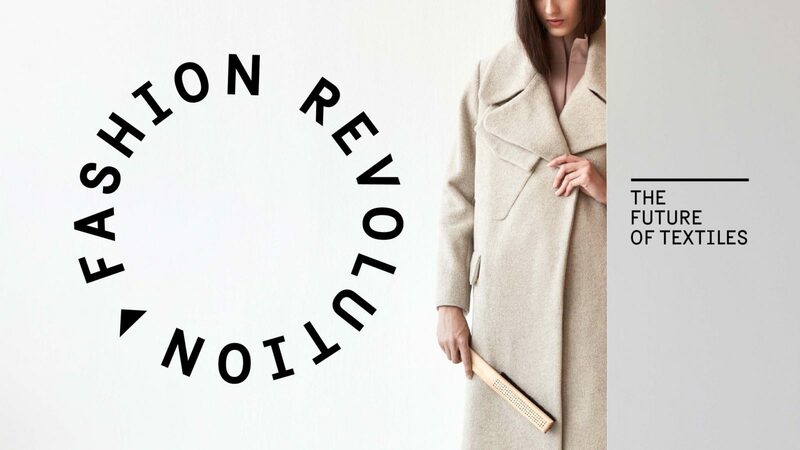 Fashion revolution – the future of textiles is a toolkit that highlights the industry’s major challenges, showcases Swedish solutions and guides you as a consumer to contribute effectively. The material is produced by the Swedish Institute with the help of researchers and other sustainable fashion experts. We recommend the exhibition to be shown in collaboration with partners who has knowledge and networks within sustainable fashion, in a relevant local context and location. Seminars or other public programs should accompany the event. This toolkit is linked to the Swedish Government’s innovation partnership programmes and two more toolkits connected to the themes will be available in the beginning of 2019. Why not arrange a clothes swap event in connection to the exhibition? This text is produced as a complement to the exhibition. A material that can be handed out to exhibition visitors. There are three video clips. Each is around 1.5 minutes. They are produced for social media exposure, but are available in two formats: 1:1 for cell phones 16:9 for big screens. Video: Fast fashion – can paper replace textiles? Video: Can jeans be more sustainable? In addition, The Fashion library – Stories from Sweden is available. Please contact the Swedish Institute to receive the file. Swedish embassies and consulates may apply for financial support of maximum 40,000 SEK for production of the printed material, language translation and travel costs and remuneration for Swedish guest speaker(s). Parts of the sum applied for should be used for inviting Swedish guest speaker(s). For projects aiming to strengthen cooperation in the Baltic Sea Region the level of financial support is limited to a maximum of SEK 100,000. Up to 30 per cent of the granted sum may be used for external project management. The application must be sent in at least two months before the event. Resources are limited and financial support may not be available at the end of the year. Limits may apply. By filling out the application form you agree to respect the copyright agreement for the images. Individuals or organisations who would like to show the exhibit should contact the Swedish embassy or consulate in your area. After completed event, fill out the project report for toolkits. For more information please contact Jenny Bergström and Anna Maria Bernitz.